Many people dream about driving a big rig across the country and help to deliver food, fuel, and other needed items to Americans from all corners of the United States. But despite the good pay and relatively simple job requirements, many of these important positions go unfilled. In fact, there is currently a shortage of truck drivers in the country that is driving up pricing and threatening the overall economy. What is the source of this shortage and how does it affect our everyday lives? How can those who are interested in a truck driving career find a position that fits their goals and preferences? How does a formal education help aspiring drivers create the career they desire? As recently reported in USA Today, there is currently a severe shortage of trained truck drivers to deliver manufactured goods to sales points. While the shortage is not new, it has recently become a serious threat to the continued growth of our national economy. Retiring Baby Boomers are leaving their positions as they advance in age. The younger generations are generally not attracted to these types of jobs. Many people attribute it to the push for everyone to go to a four-year college. The shortage is made worse by the currently booming economy. High employment rates mean consumers are demanding more goods than ever. However, without truck drivers, it is often difficult to get these goods on store shelves. This shortage negatively impacts the economy in several ways. First, stores are not able to keep shelves full, which means consumers are not able to buy the products they want. That means manufacturers make less profit, which means fewer jobs in the future. In order to keep products coming in, store managers often turn to more expensive ways of transporting goods. These extra costs are then passed on to the consumer. Paying more for certain goods means that consumer isn’t able to spend on other things, which may also lead to a decrease in national employment numbers over time. Transporting tankers filled with non-hazardous liquids like milk or water. With a Hazmat certification, drivers are able to haul hazardous materials. Delivering packaged goods from warehouses to retail stores. Some of these positions also require loading and unloading your cargo. Driving oversized trucks. These can be used to transport everything from lumber to manufactured homes. Hauling cars to sales lots. These positions are hard to find and often require intensive on-the-job training. Driving trucks long distances, or over-the-road. This can be done solo or with another driver to reduce delivery times. With so many career options, how can you find the right one for you? Ask yourself these questions before submitting your truck driving applications. Do you want to work a normal schedule? Is it important that you be home every day? If the answer to either of these is yes, you may want to avoid OTR positions. Do you mind loading and unloading boxes and packaged goods? This is often a requirement for delivery drivers. Are you able to stay cool under pressure? Driving oversized trucks requires patience, accuracy, and the ability to deal with unexpected situations. What types of jobs are available in your area? Take a look at your local classifieds and job boards to find the most advertised positions. Choose that niche if you want to guarantee long-term employment in your local area. Most truck driving jobs require little more than a high school diploma and a CDL license. However, there are some big advantages to completing a training program before seeking employment. 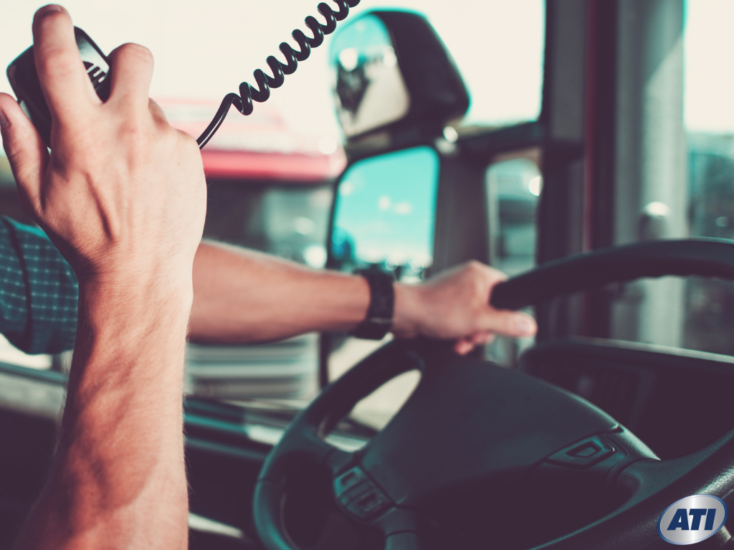 Your trucking school training will prepare you for a variety of driving positions. While many employers offer on-the-job training, their lessons will only prepare you to do the job they need. Your future career prospects would be limited. You could make more money. Instead of enduring weeks of training with little or no pay, you will start your new career ready to work. Employers are willing to pay more when they invest less in training. Trucking school makes it easier to find jobs. Businesses look to these schools for new employees. It’s likely that you’ll have a job lined up before you graduate. Ready to start your truck driving career? The Tractor-Trailer Driving Certificate from ATI could be your first step to a successful career. Contact our admissions counselors now to learn more. Next PostCommercial Driving Test: How Can I Improve My Chances of Passing With a Formal Course?